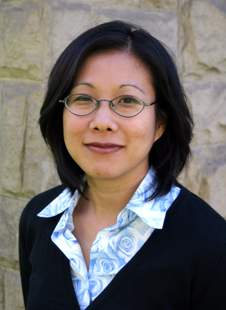 Join me Monday, March 12th, for a live and interactive FutureofEducation.com webinar with cultural anthropologist Mimi Ito. We'll talk broadly about youth and digital media, then drill down specifically on her own research, connected learning (both as an idea and the new MacArthur Foundation supported website), entrepreneurial learning, and educational badges--and how these conversations all came together at the recent Digital Media and Learning Conference. Recordings: The full Blackboard Collaborate recording is at https://sas.elluminate.com/p.jnlp?psid=2012-03-12.0838.M.9E9FE58134BE68C3B413F24B3586CF.vcr&sid=2008350 and a portable .mp3 audio recording can be found at http://audio.edtechlive.com/foe/mimiito.mp3. Mimi's bio from her website: "I am a cultural anthropologist who studies new media use, particularly among young people in Japan and the US. During my graduate work at Stanford, I worked at the Institute for Research on Learning, Xerox PARC, and Apple, studying up the emerging field of social and cultural studies of digital technology use. My doctoral work was part of the Fifth Dimension project led by Michael Cole. For many years I had a research group at Keio studying mobile technology use. A few years ago I completed a study with Peter Lyman and Michael Carter on a multi-year project on digital kids and informal learning, with support from the MacArthur Foundation. As part of this, I did case studies of anime fandoms in Japan and the English-speaking online world, focusing on anime music videos and fansubs. I edited a book for MIT Press with Daisuke Okabe and Misa Matsuda entitled, Personal, Portable, Pedestrian: Mobile Phones in Japanese Life, and my book on children's software is Engineering Play: A Cultural History of Children's Software. My co-authored book reporting on the digital youth project, Hanging Out, Messing Around, and Geeking Out: Kids Living and Learning with New Media." Mimi's book on anime fandom Fandom Unbound: Otaku Culture in a Connected World has just been published.